So simple, but so cute, right? It’s an easy way to find a spot for your favorite photos and rotate them out easily. 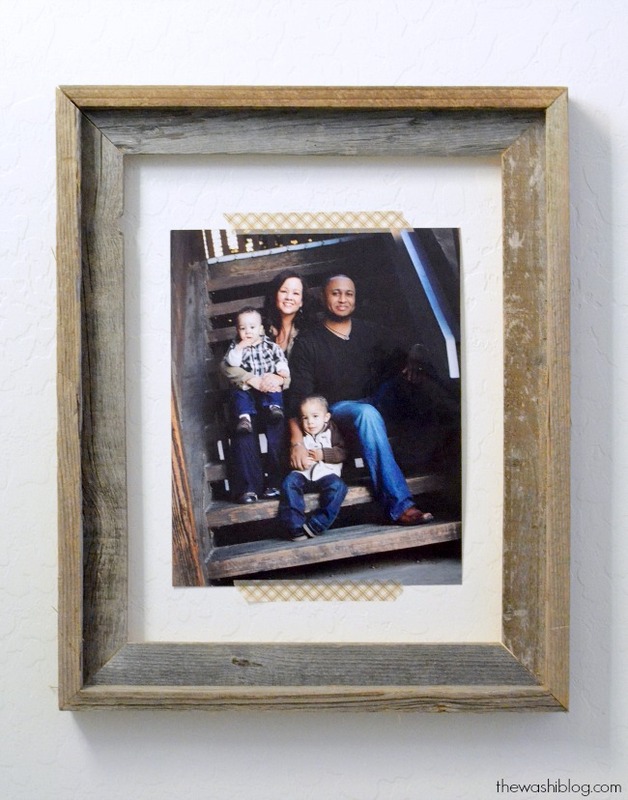 You can also “frame” your photos with washi tape. Here I’ve taken those same photos, but instead of putting them up with washi, we’ve used washi to frame the photos in. A fun and whimsical change! 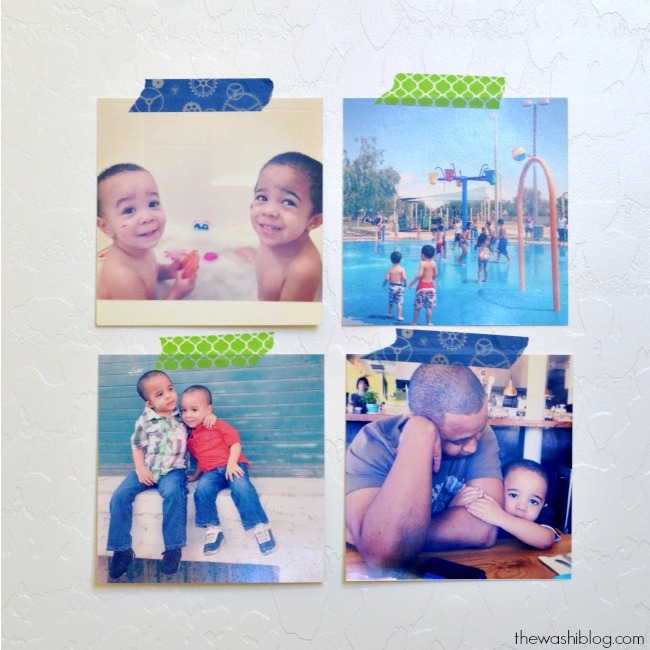 Another great way to use washi with pictures is to embellish pictures! 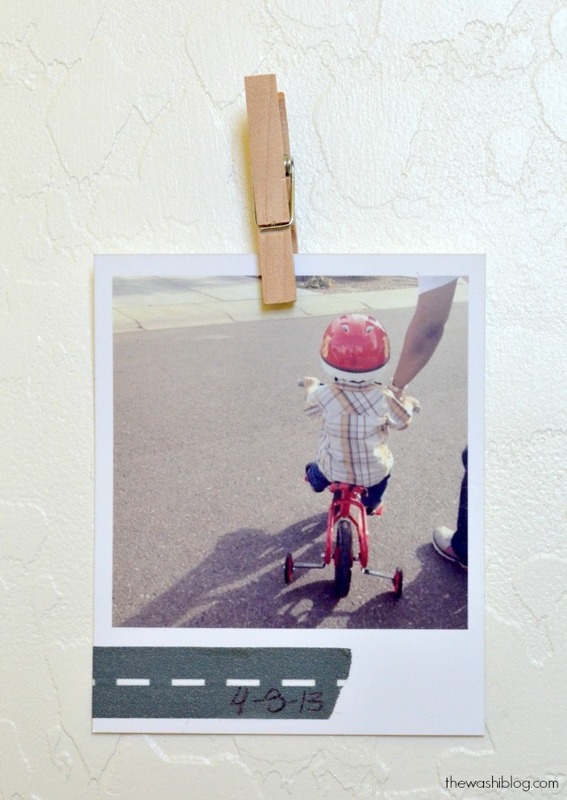 On one of my favorite photos of my son riding his new bike I’ve added some road washi and the date as a fun little detail. 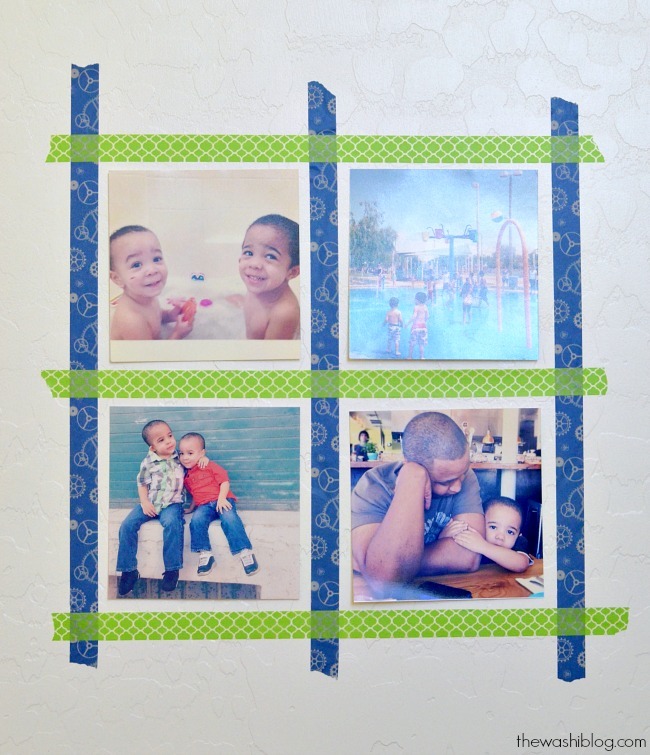 Or finally – one of my favorite ways to use washi with pictures and printables is to tape pictures up within an actual open frame! Such an easy but cute way to display your favorite photos, and again, so easy to change up or change out when you’re ready. Thank you Kimberly! 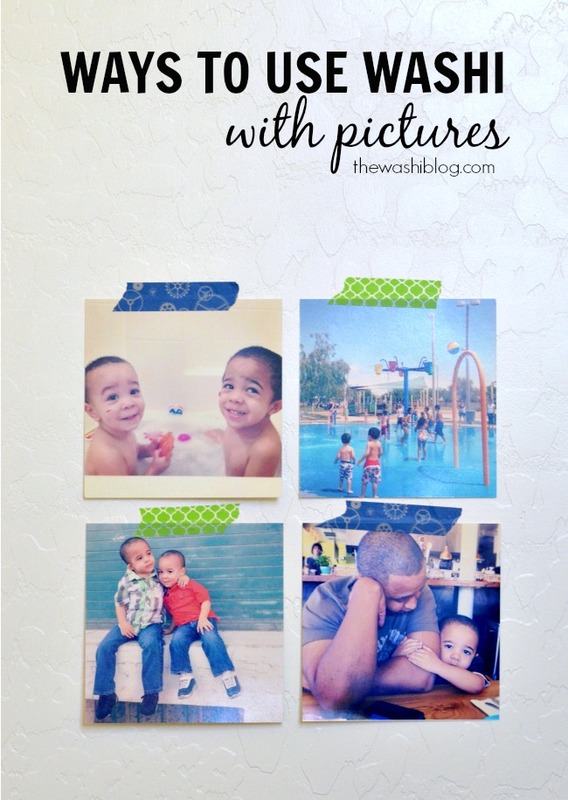 Washi tape is SOOOOO fun to use, and I love how it is incorporated here with picture displays! So simply and so fun! 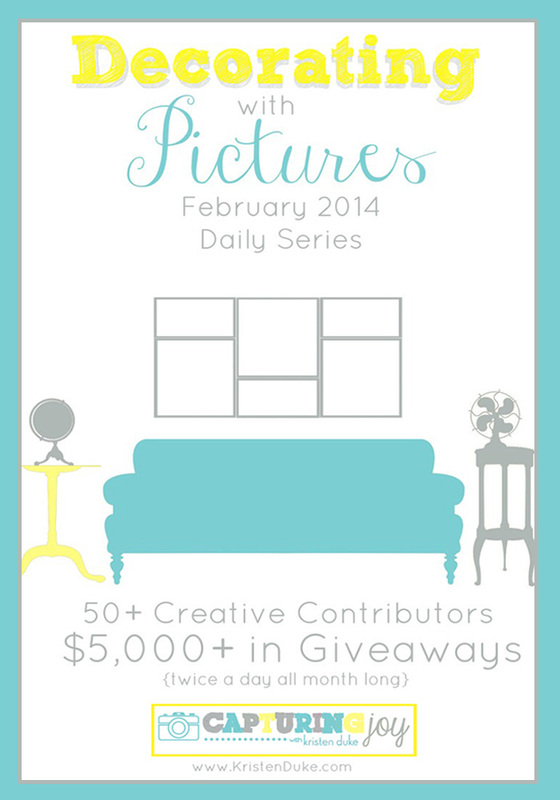 Today our giveaway is from Momma’s Little Munchkin. They sell handmade plush toys for those little munchkins in your life, and they are SO cute!